The UEFA has released a report on the finances of European football leagues in the 2014/15 season. One of the more interesting sections of the report ranks clubs by gate receipt revenue. It sure seems as there are the top 5 clubs, and then there is everyone else. 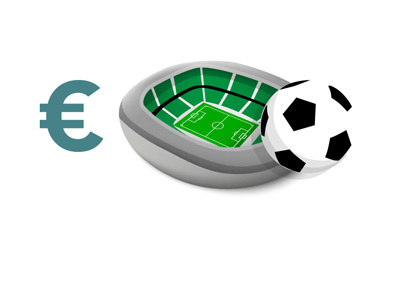 Real Madrid, Arsenal, Man Utd, Barcelona and Bayern earn between €4m - €4.2m per match from ticket sales. Interesting to see Hamburger SV in 10th position, ahead of clubs such as Borussia Dortmund, Juventus and Atletico Madrid. There are 7 clubs from the English Premier League among the top twenty, 6 clubs from the German Bundesliga and 3 clubs from the Spanish La Liga. The remaining four teams are from France, Italy, Turkey and Scotland.